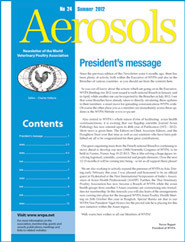 Aerosols – the newsletter of the WVPA. Containing all the latest news updates from branches around the world and reports on major events, conferences and congresses organised by the WVPA. Published twice a year, PDFs of back issues can be downloaded directly from this site using the links below. Avian Pathology is the journal of the WVPA. It is produced six times a year by the Houghton Trust Ltd., and is published by Taylor & Francis Ltd., London. 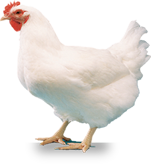 Avian Pathology will consider original material relevant to the entire field of infectious and non-infectious diseases of poultry and all other birds, including infections that may be of zoonotic/food-borne importance. Subject areas include pathology; diagnosis; detection and characterization of pathogens; gene sequences; epidemiology; immune responses; vaccines; genetics in relation to disease; and physiological and biochemical changes that are in response to disease. Manuscripts reporting cases of naturally occurring disease must describe either new diseases or give significant new information about previously known diseases. The information should significantly enhance knowledge and understanding of the disease or pathogen. Papers on food-borne microorganisms acquired during or after processing are not appropriate. Manuscripts describing the occurrence or morphology of unicellar eukaryotes and multicellular organisms, or which are essentially catalogues of microorganisms detected, are unlikely to be considered for publication unless they have a clear relationship to disease. First and subsequent reports of occurrence within a country of diseases well-recognized elsewhere will not be accepted unless they also include significant new information about the disease or pathogen. Manuscripts should report novel findings that are of interest to an international readership. (100 USD/year for six issues, hardcopy or online). Members of WVPA who want to subscribe are asked to include a membership certificate which can be obtained from the Corresponding Secretary of the national WVPA branch or in the abscence of one from the Secretary/Treasurer of WVPA. 325 Chestnut Street, 8th Floor, Philadelphia, PA 19106, USA.